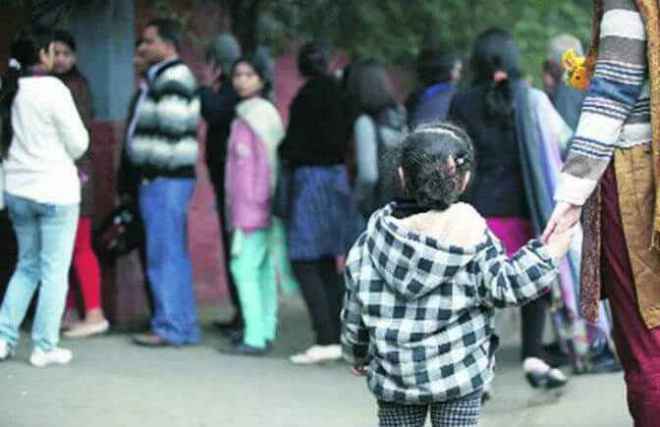 School admission, be it for senior grade or nursery admission, has always been one of those nightmares that bring sleepless nights not only to the child but more than that to the parents. This is not only because of the money that they will be putting in, but the return that they will be getting after 12-14 years. So, they make sure that they select right school. In order to do so, they ask lots of questions during a school tour. Following is the list of such common questions. Have a look and be prepared. Q1: How big are the classrooms? Are student’s creativities displayed on student board? Good infrastructure has always been the top priority for most parents. The classrooms should be nicely designed with all the charts and models properly displayed. Q2: How qualified are the teachers? Are they enthusiastic enough to provide an engaging atmosphere to the student? If school is a temple, then its teachers are the Gods. Parents always try to get their hands on the teachers to speak with them and figure out how qualified they are and how ably they will groom their child. An effective learning is an outcome of two-way communication. This is exactly what parents expect from the teachers - two-way engagement between the teacher and the student. Q3: How reachable is the school Principal? Can She/He be approached during school admission? Usually, all the parents are under the impression that the school Principal is the hardest to reach person in terms of school hierarchy. Modern day parents appreciate a Principal who is always available to address the grievance of parents, students and teachers. Q4: How is the student behavior while moving from class to class or while playing outside? This is one of the most common things that parents try to gauge during school admission. Just like we refer to reviews while online shopping, taking a school tour and going analyzing the behavior of the students inside school campus or in playground tells a lot about the school. Q5: How frequently is PTA’s conducted? Parents are always interested to know about the progress of their child. And when it comes to school, they will always be more than happy to know how their investment is turning out to be! A regular parent teacher association is always welcomed by parents. In fact, this is a very healthy practice in some of the top schools in Gurgaon. Q6: How well maintained are the facilities? Facilities and infrastructure are the most common things that the parents notice during school tour. A well-equipped lab for their Einstein and a proper playground with all basic features and equipment for their Sania Mirza and Virat Kohli is all what they look for. There are many ways to increase the numbers for school admission but the easiest way is to give a perfect school tour to prospective parents.